Kickstarter is the reigning champ of crowdfunding, when a campaign succeeds on their platform, it can attract attention from the press, and find its way to commerce success rapidly. We are now able to consume more information through the internet then has ever been made in human history, ever, and that has made people’s attention stretch thin. In this technology obsessed world, being able to condense your idea or sales pitch into a few second video byte can be a huge advantage. There is a lot of pressure for your video to be good, it can make or break your dream project. 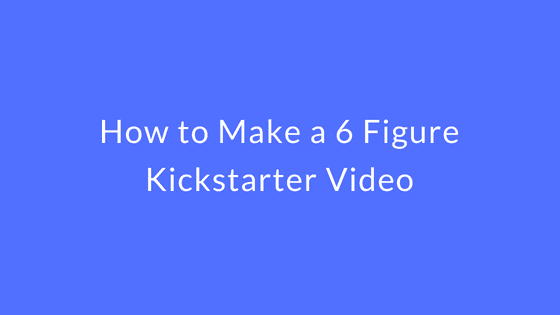 Allow the following tips to advise you on how to approach your video to help, and keep in mind, that a Kickstarter video done correctly, can skyrocket you campaign to heights you never thought possible. Check out your competition, what did they do in their video to get their product funded, don’t just look at the most funded campaigns videos, look at the category your product fits into, the research you do for this could bring you new ideas and inspiration about how to approach your video, and improve upon your competitors videos. You can even go a step further and look at comments on their crowdfunding page, and Facebook, see what their backers we saying, what they were concerned about, or what was under explained to them, learning from their mistakes will stop you from making the same ones. Your project is on Kickstarter to be judged, to be judged well. So you need to be authentic, show them that you are serious and passionate about your idea, and truly believe in its real world problem solving capabilities, not just for a few people, but for lots of people, show this is your video, many people using your product, and authentically talking about its benefits and features. Showing your passion will give your viewers a real reason to trust in you and your idea, build a relationship with them, respond to comments quickly, be active. The single most impacting asset for your Kickstarter campaign is your video, you need a strong hook, people tend to give up on a video almost instantly. Is it the first impression of your product to the potential backer, it will allow you to direct their subconscious experience, and the first 5 – 10 seconds matter. Stories are a powerful medium, you bring your audience on a journey, peak their interest in the beginning as you explain the origin of your product and the eureka moment you had. 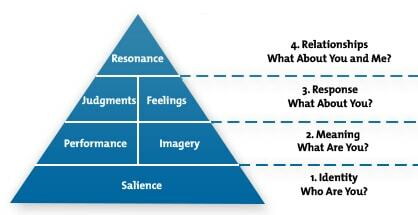 Make you get to a point in your video that explains the necessity of your product, WHY does the customer need this? WHY is it unique? And if it gets funded and is available on the market, what problem does it solve? Don’t just tell the viewer how it will solve general problems, tell them how it will solve their specific problem. There is a model called the consumer-based brand equity pyramid, this mode is widely accepted as a useful model to organise creating brand equity for a company, use this to guide your video creation. Explain who you are, and a little about your story, then onto the primary need that your product solves, and then onto the vision and hopes for the companies future, and show the product in action with demos. Make sure you have answered all of the major questions that a potential backer may want to ask about, and use their curiosity to explain your confidence in the product, and then win yourself a backer. Have a strong call to action that clearly gives the viewer the information about what you want from them, and why they should fund you. This is what gets people to hand over some hard earned cash, if you’ve held their attention for this long, you should close with a bang. They need to know what to do next, ask them to back your project, ask them to do it quickly, add some urgency. Be simple, and specific, don’t ask them for too much, nobody wants to like, share, comment and fund, that’s a chore not a pleasure, make it a pleasure to fund your dreams. People are on Kickstarter to get cool stuff before everyone else, let them know that they will get exactly what they want, if they just donate RIGHT NOW! You need a high quality video to make the right impression, although, you don’t need expensive equipment, you’d be impressed with what you can do with an iPhone and some good lighting. Remember audio is super important in your video! Get a microphone. Don’t overestimate the differences that small details can make to the overall quality and effectiveness of the video. Ask others for their honest opinion on the video, a new perspective can make a huge difference in the long run. It is a lot of work, and if your not a professional, often the best idea is to hire one, it will result in a much better finished video.